This unique bicycling tour links three exceptional cities, Vienna, Bratislava and Budapest, on the Danube River. Beginning your adventure in Vienna, the city of Strauss waltzes and exquisite desserts, your route passes through wide-open plains. Visit palaces, castles, and cathedrals, as well as small Austrian and Hungarian villages. Using charming hotels, this self-guided bicycling tour gives you the flexibility of only taking what you need for the day, and having you luggage transported for you. Much of this route follows the Danube along the designated bike trail system. Pedal along the Hungarian border through wine growing regions, farmland and tranquil landscapes, all the while gaining an in-depth understanding of rural life in Hungary. 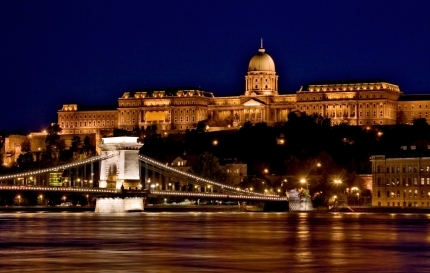 The end of the tour, as well as the highlight, is surely to be in the picturesque spa city of Budapest! Architecturally, the city is a treasure trove, with enough baroque, neoclassical, Eclectic and art nouveau buildings to satisfy everyone. The city is blessed with an abundance of hot springs. As a result, ‘taking the waters’ has been a Budapest experience since the time of the Romans. A perfect way to end your cycling tour.